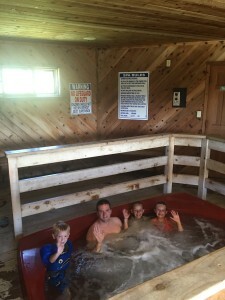 At Black Bear Lodge, our guests are able to enjoy our clean indoor hot tub and sauna year round. We offer use of our heated swimming pool, weather permitting, from June 01 through Labor Day, for registered guests only. Picnic tables, grills, swing sets and horseshoes are available on the Black Bear property for our guests. We offer a variety of books and magazines in our lobby for vacation reading. 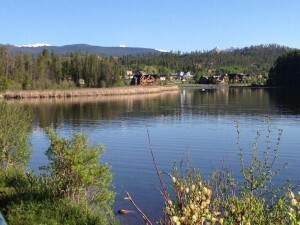 Black Bear Lodge overlooks Shadow Mountain Lake with views of Rocky Mountain National Park and the Arapaho National Forest. 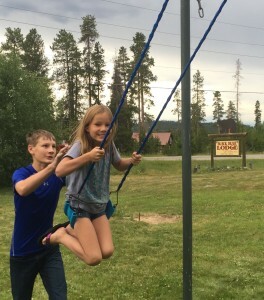 This remarkable area offers numerous year around activities for people of all interests, all within a close proximity to the lodge. 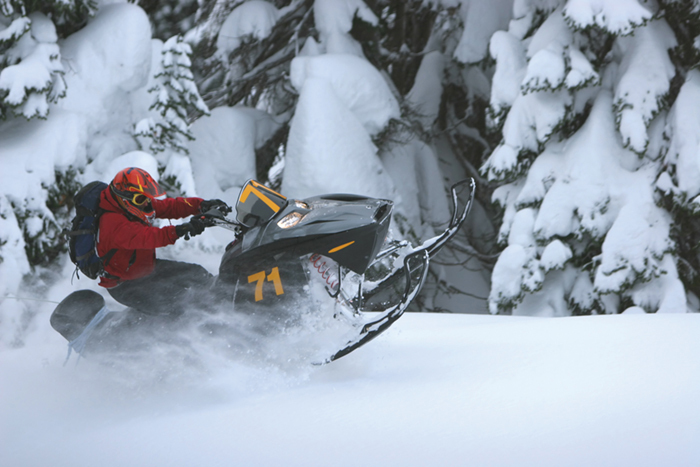 Grand Lake is the “Snowmobile Capital of Colorado!” There are over 130 miles of snowmobiling trails ranging from tracks through the forest to wide-open mountain meadows surrounded by the beautiful Rocky Mountains. You can even drive your snowmobile from our lodge, across Shadow Mountain Lake to access the trail system. 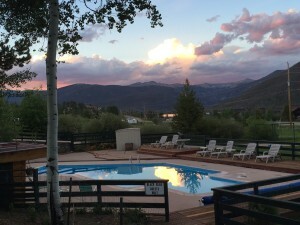 In the summertime, you will be able to go fishing, boating, horseback riding, or hiking on any of several trails, all of which are located within minutes of our lodge. If you enjoy the water, this is the place to be! 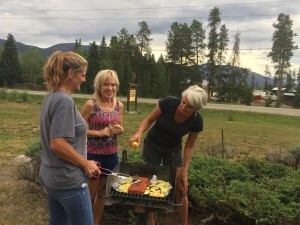 The two reservoirs, Shadow Mountain Lake and Lake Granby, and Colorado’s largest natural lake, Grand Lake are the main summer attraction for many people. 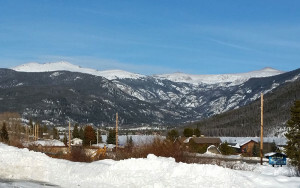 Trail Ridge Marina is 1/4 mile away from the Lodge with boat rentals and tours of Grand Lake and Shadow Mountain Lake. Boater’s Choice Marina and Headwaters Marina in downtown Grand Lake can outfit your group with pontoons, kayaks, canoes, paddle boats or paddle boards. 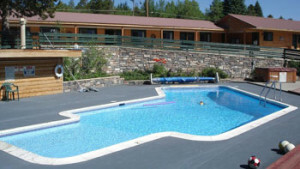 For boat rentals on Lake Granby, Indian Peaks Marina offers speed boat and pontoon boat rentals. Anglers of all types and all skill levels have plenty to choose from in the Grand Lake area. Grand Lake, Lake Granby and Shadow Mountain Lake are popular for Mackinaws and Kokanee Salmon. 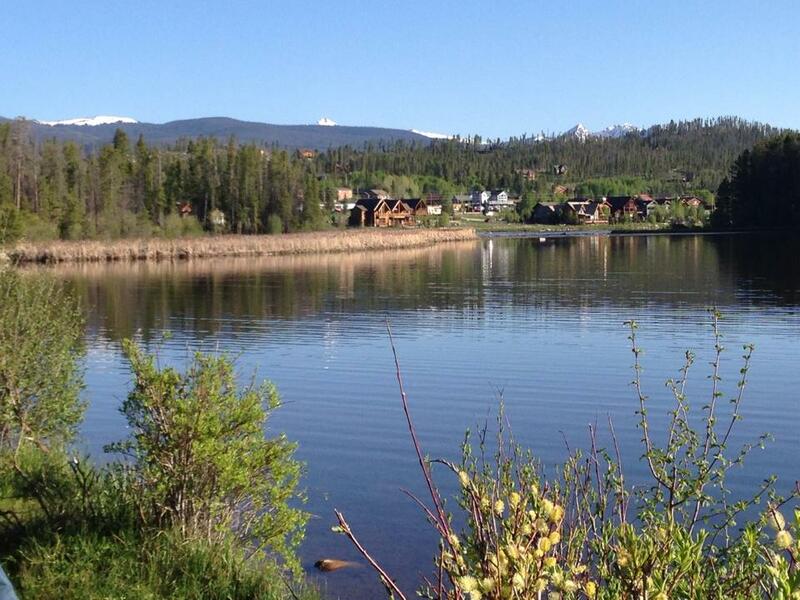 A Colorado State license is required for anyone over 16 and can be picked up at most marina’s or tackle shops. While you are at it, be sure to pick up a copy of the Colorado Fishing Brochure that contains regulations and information on the area. 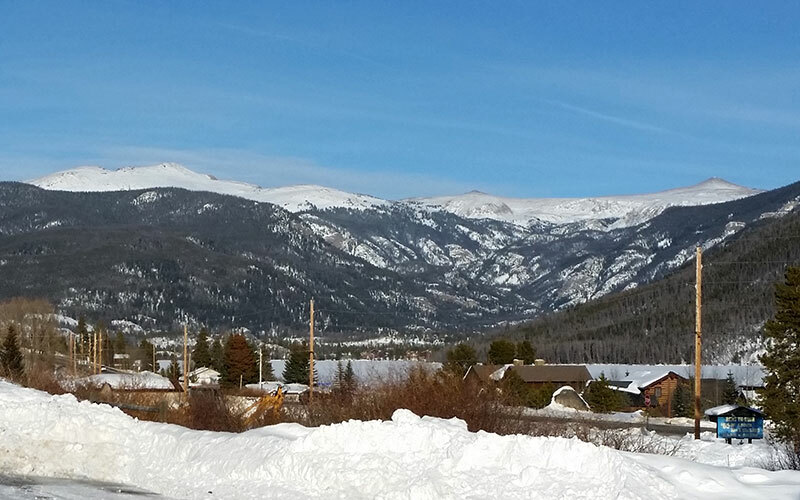 The town of Grand Lake offers fun events, boutique shopping, art galleries, good restaurants, boating and fishing, outstanding productions at Rocky Mountain Repertory Theatre, fun on the boardwalk and local history at Kauffman House Museum.